When you’re thinking of downsizing but your kids have other ideas, The Airlie is the home for you. This clever 4x2 home fits neatly on a 10 m wide block, with plenty of room for every generation. When you’re thinking of downsizing but your kids have other ideas, The Airlie is the home for you. This clever 4×2 home fits neatly on a 10 m wide block, with plenty of room for every generation. With your master suite and living areas positioned at ground level, this home will meet your needs for many years to come. Upstairs, three minor bedrooms and a study nook offer an independent sanctuary for your older children or out-of-town guests. 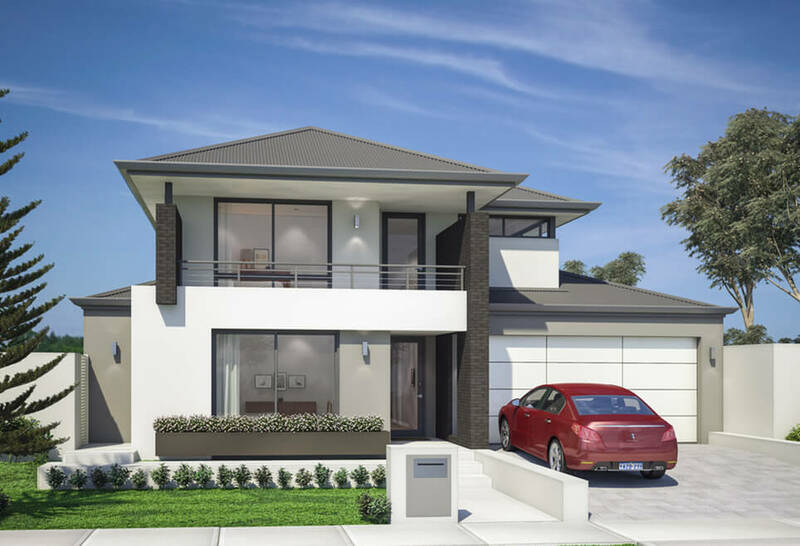 The Airlie, designed by our two storey house builders in Perth is a perfect family home with plenty of space. 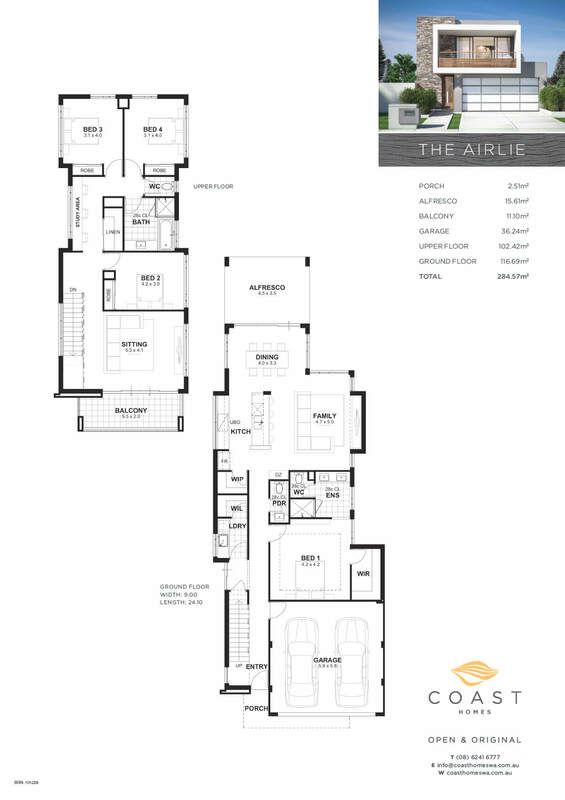 Is the Airlie your favourite from our collection of two storey homes in Perth? Images on this site may depict fixtures, finishes and features not supplied by Coast Homes. For detailed home inclusions, please contact us.